Horse ranch on approx. 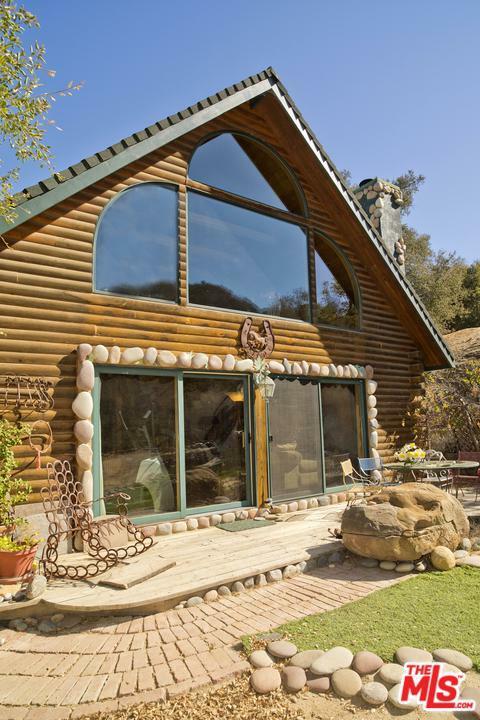 9.85 acres in Greenleaf Canyon. 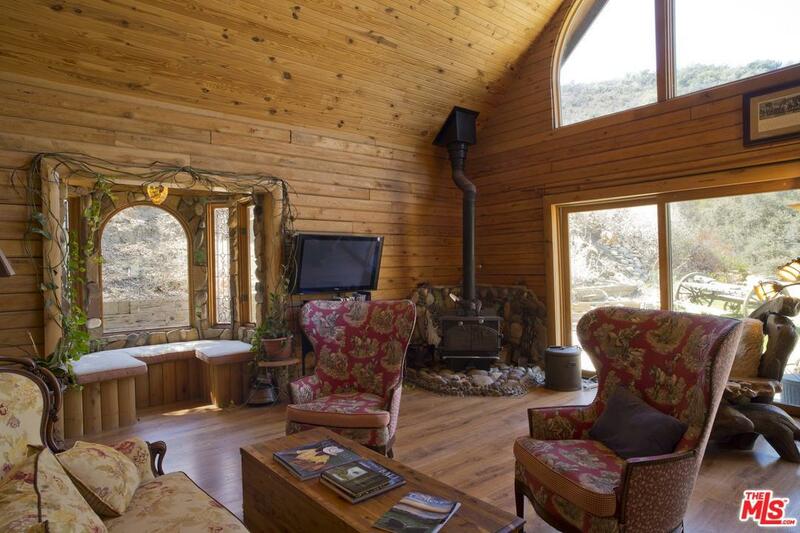 Charming Log Home built in 2002 is nestled in an ancient oak tree grove with a seasonal stream running through the property. Extreamly quiet and private location. Private road with no thru traffic. The home features soaring high beam ceilings, wood floors, large walls of glass, 2 wood burning fireplaces, and an open gourmet kitchen with center island. Fine finishes include custom tile and stone work. Long front porch overlooks the property and the oak grove. The land is very special. 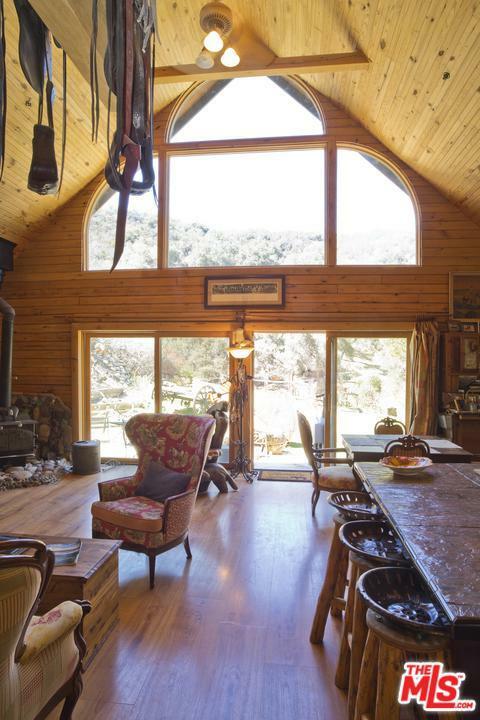 With a ton of flat land including a riding arena, barns, pastures, and guest quarters. Upper pasture has views of the entire canyon. 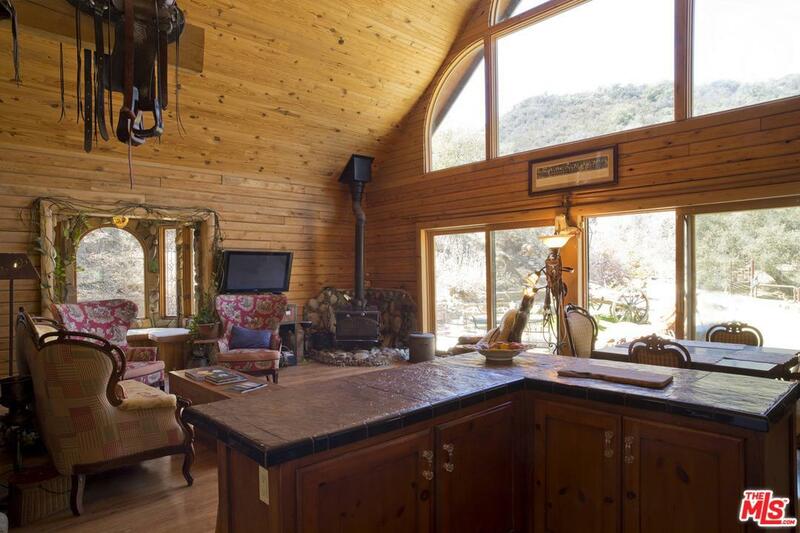 Endless hiking and riding trails accessed directly from the property. Only 5 minutes to the village and 10 minutes to the beach. Listing provided courtesy of Jonathan Saver DRE#00764901 of Sotheby's International Realty and Lisa Saver CA DRE# 01203202 of Sotheby's International Realty.